Former prime minister Gordon Brown will back Yvette Cooper, wife of his political protégé Ed Balls, at a “sold-out” event at the Edinburgh Book Festival this weekend. In a further dig at Jeremy Corbyn, the hard left candidate now favourite to win, the leader of Labour between 2007 and 2010 will claim he put Cooper as his first choice, with leftish candidate Andy Burnham second and Blairite Liz Kendall third. Previously Brown laid into Corbyn, albeit without naming him, at a speech on August 16th in which he told Labour not to be “a party of protest”, whilst also scoffing at the notion of a global alliance involving “Hamas, and Hezbollah, and Hugo Chavez in Venezuela, and Vladimir Putin’s Russia” – a dig at Corbyn’s foreign policy. 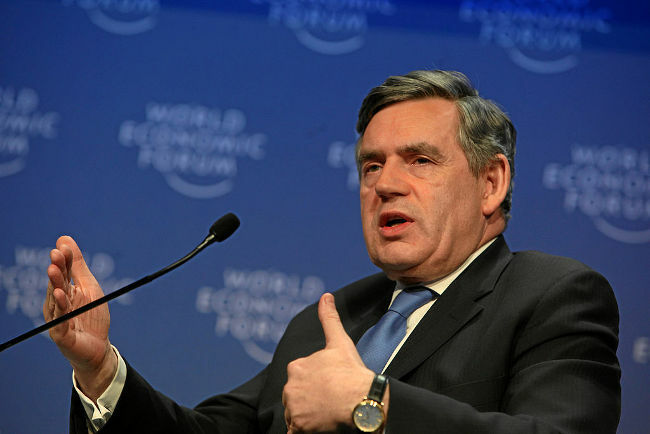 Former Prime Minister Gordon Brown is due to speak at the Edinburgh Book Festival this weekend and will say he has voted in Labour’s leadership election for Yvette Cooper as No1, Andy Burnham No2 and Liz Kendall No3. Mr Brown is to deliver a speech on the future of Scotland and will be interviewed by author Alistair Moffat during the sold-out event in the Baillie Gifford Main Theatre on Sunday, August 30, at 3.15pm. In this he keeps to his commitment in that earlier speech not to “attack any individual candidate”. Keep it classy, Gordo.